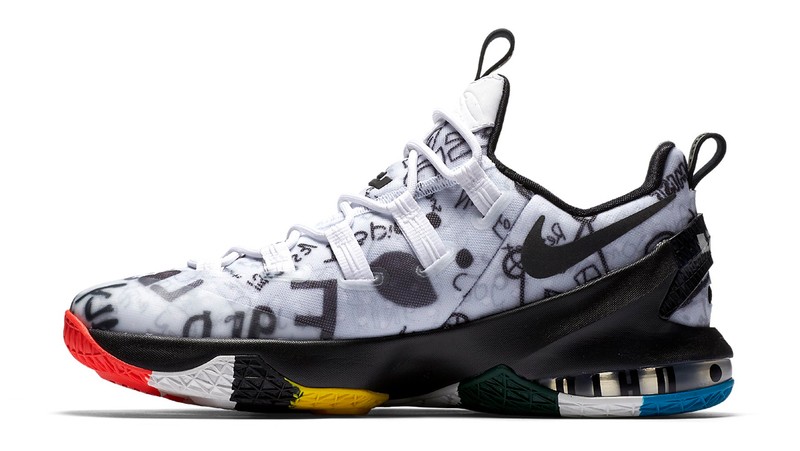 The "Multicolor" Nike LeBron 13 Low has an official release date. 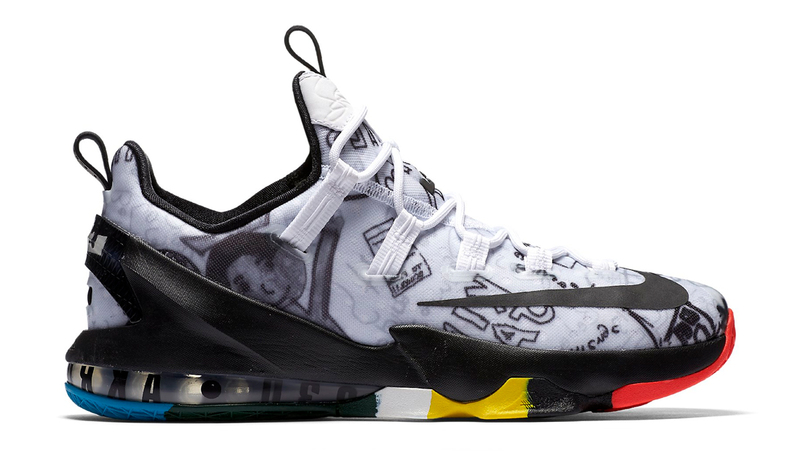 While Nike LeBron fans are still waiting on official confirmation of the release of the Nike LeBron 14, in addition to the Nike Zoom LeBron Soldier 10 lead "Four Wins Pack" collection, Nike has another LeBron 13 Low on deck with this "LeBron James Family Foundation" colorway. 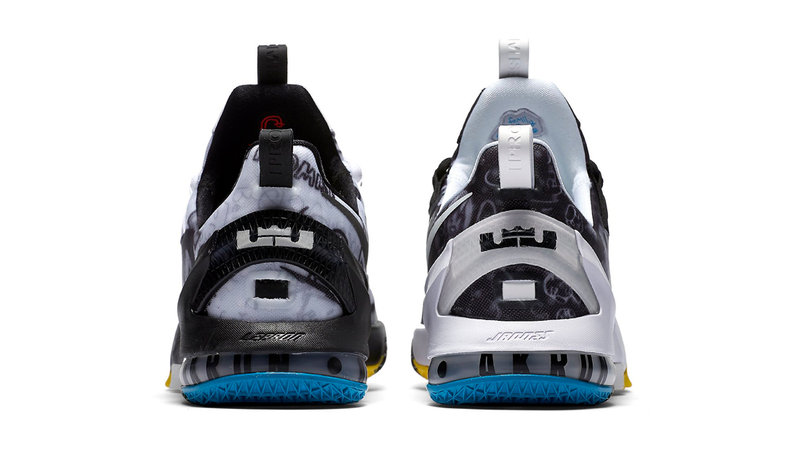 The sneaker features an Akron-inspired graffiti-like graphic treatment on the upper that links back to the look and feel of the LeBron James Family Foundation branding which is done in a youth-inspired font. Staying true to the playful theme of the sneaker, the pair is also mismatched with the left side done in white and the right done in black. 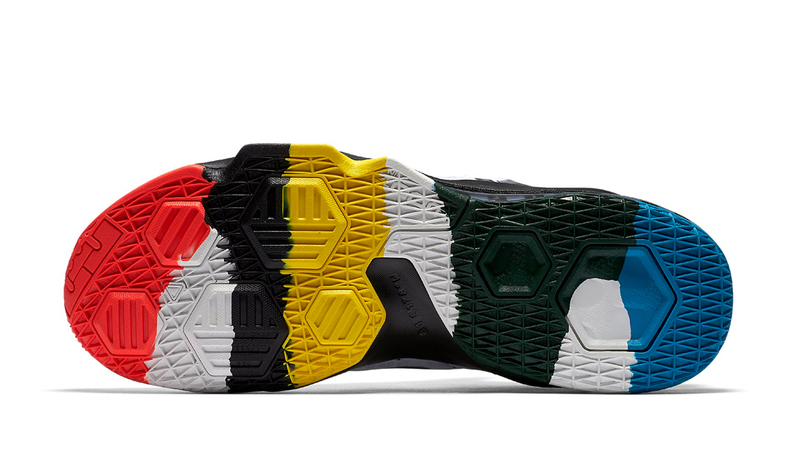 Completing the look, the footbed features the LeBron James Family Foundation logo and the sole is done in a multicolored stripe pattern. While there is no confirmed release date for the sneaker, it is billed as a "QS Limited" release which means the release will be more limited in nature than the general release colorways that we've seen in the past. 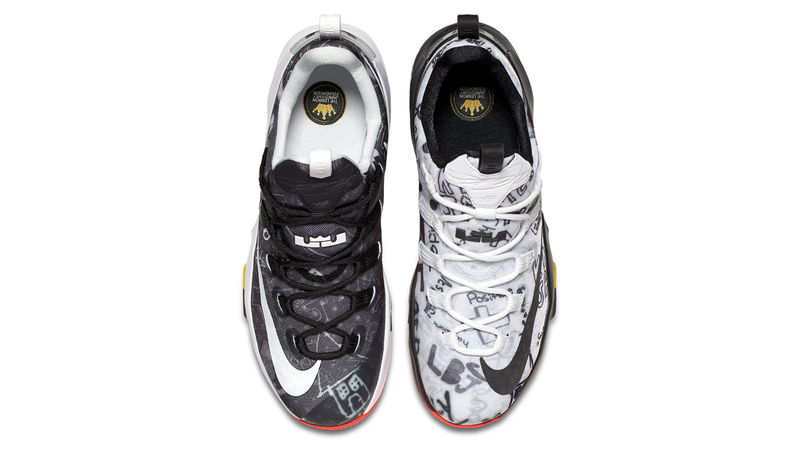 Nike LeBron Low 13 Limited "LeBron James Family Foundation"
UPDATE 10/28: Although Nike does not make mention of the LeBron James Family Foundation tie-in and has dubbed the sneaker "Fit for a King," we do have an official release date and that release date is Nov. 4 at select Nike retailers including Nike SNKRS.